When it comes to event security, Leisure Guard Security offers only the best. Our experienced team do more than just being a secure presence; we also liaise with your venue to ensure the evacuation procedures and capacity rules are safe and appropriate. 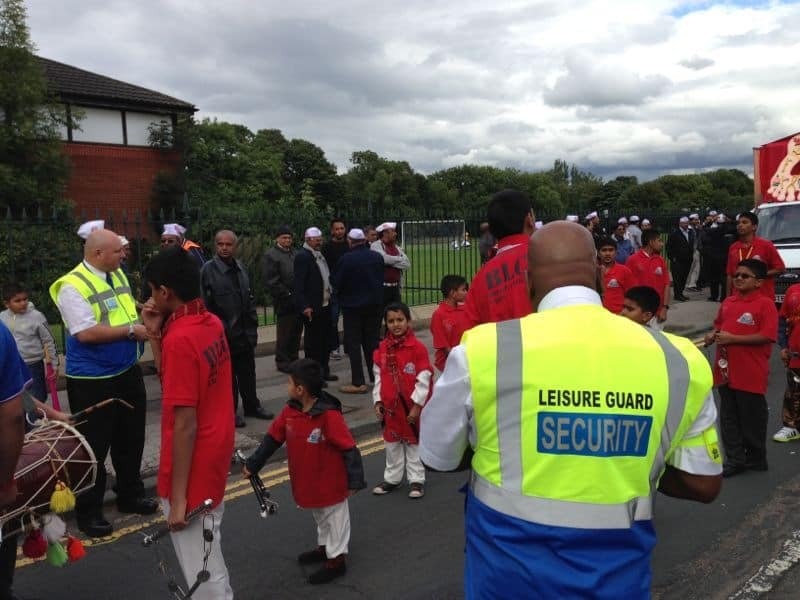 Whether you are organising a conference or a concert, Leisure Guard Security offer a fully qualified, proactive and professional solution for your event security needs in Greater Manchester and the North West of England. With prices starting at just £10.95, we offer affordable security to help prevent potentially expensive problems. - A mobile patrol where officers will visit your event regularly. Another alternative is our Tower Guard, a 360⁰ mobile CCTV tower that provides 24/7 remote monitoring for your premises. The Tower Guard can be installed quickly in all terrains without the need for expensive infrastructure such as power, broadband and lighting, providing an affordable security solution for your event. At Leisure Guard Security, our team compromises of over 100 fully qualified, SIA-accredited security operatives, all of whom provide a bespoke service focused on your satisfaction. Our officers are flexible and can be adapted to suit your exact requirements, acting in a dual role as a receptionist or customer service personnel, in addition to a trained guard. Our officers have the broad skill set required to meet your needs. Our practised, reliable event security team are available all over the North West of England: from Greater Manchester to Stoke on Trent and Birkenhead. So, wherever you are in the North West region – don’t leave your safety and security to chance – trust the professionals at Leisure Guard Security. To enquire about security for your event, call today.